Jose Valenzuela stands accused of two counts of first-degree murder for the June 21, 2015, shooting deaths of Tina and Michael Careccia. The trial for Valenzuela, 40, is set to begin April 24, but both sides are scheduled to sit down for a Jan. 24 settlement conference in an attempt to work out a plea agreement. It is a death-penalty case. 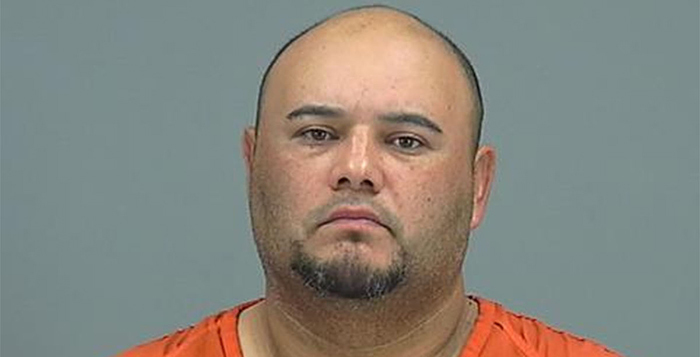 Pinal County Superior Judge Christopher J. O’Neil said Monday, during a status hearing, he had expectations that some orders may need to be entered to allow some witness interviews. At issue are defense interviews with Valenzuela’s wife and son. Defense attorney Bobbi Falduto said she believes Gary Husk, special prosecutor in the case, had a stand of “wait and see how it goes” in the settlement conference before allowing defense attorneys to interview the family members. An attorney for the son told O’Neil she thought it was best not to interview the son in the event the settlement conference was successful. “The state is not aware of any circumstance whereby the minor child or his mother has declined to be interviewed. An order at this point would be a bit premature,” Husk said. O’Neil suggested Husk go ahead and arrange the interview with the child, but Falduto did not agree, saying the mother and the child are state witnesses. She said it does not matter who arranges the interview. She said the mother has refused an interview with her and they have specifically avoided talking to her defendant’s son. Husk objected to the idea. “There is no place in the rules that allow for defense to have independent interviews of the state witness. I think it is very telling that the mother of the child has refused to be interviewed,” Husk said. Again, O’Neil directed Husk to arrange the interviews for the state with the mother and son. The judge also said the interviews should focus on the factual issues of the case and that both sides be present. O’Neil said if there is no plea arrangement reached at the Jan. 24 conference, both parties should meet and confer if any follow up interviews are necessary. If they cannot agree on additional interviews, he asked the attorneys to bring the matter to the attention of the court by filing briefs. O’Neil also ordered that the son’s name be redacted from any court document, transcript or record. As things were winding down Monday, suddenly Falduto said she had concerns with the number of times attorneys from the prosecution have spoken with the son, a minor child. Husk objected immediately saying there are no records and there is no information to share. He said it was just part of the investigation. “Counsel is now asking the state to produce documents that don’t exist,” Husk said. Three more times Falduto asked the court to determine if the son is a tainted witness because he talked to members of the state prosecution team on many occasions. O’Neil denied Falduto’s request and reminded attorneys of the Jan. 24 settlement conference and scheduled a status hearing for Feb. 25 at 1:30 p.m.